Tired of rummaging through your bags for your keys, makeup, pens/pencils, or tools? 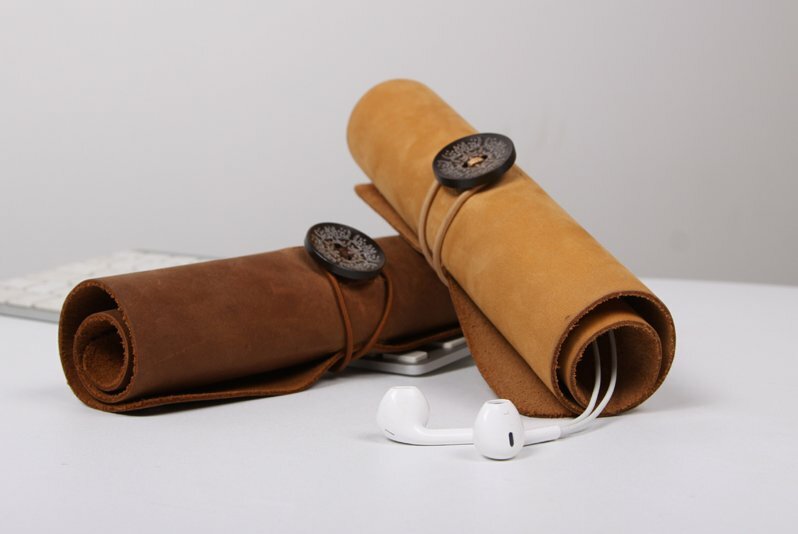 Want a stylish way of keeping all your everyday carry essentials organized? Check out our Traveler's Treasure Map! 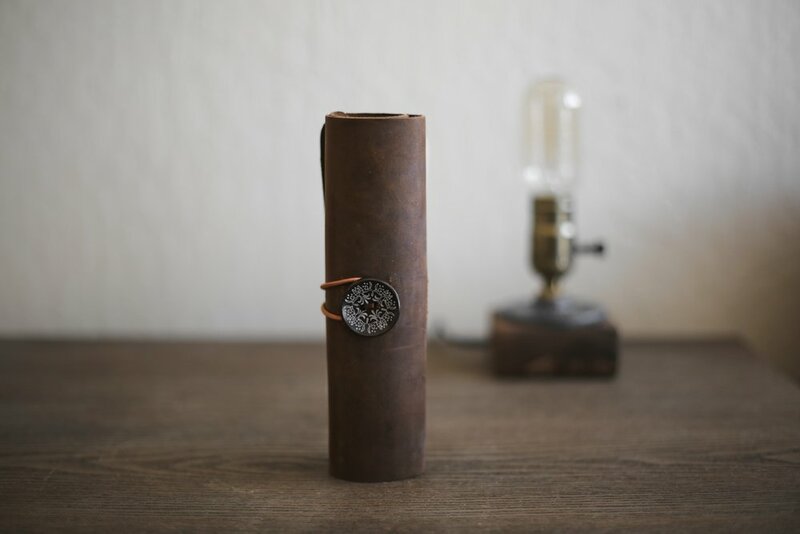 Handcrafted from genuine leather, the Traveler's Treasure Map is a beautiful travel accessory that can hold some of your most used items. 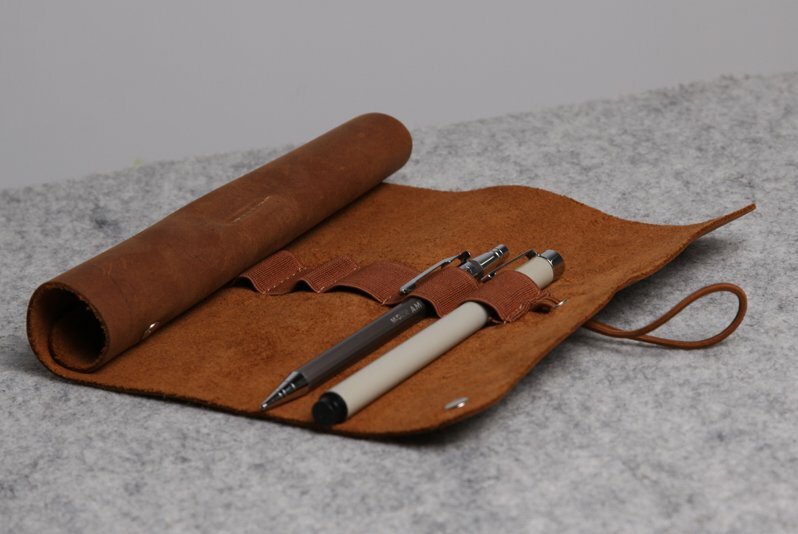 It features 2 small slots to hold your pens, pencils, small tools, and more; 2 larger slots for your bigger essentials; and a leather loop for your keys. The map also features an elastic band that is secured around a beautiful button rivet to keep it closed and secured. Keep your Treasure Map tucked away in your purse or bag. You're now ready for an adventure. What are you waiting for? The mountains are calling.